The life of Sri Chinmoy was full and intense. From his childhood he followed the spiritual life and later created his own path. After traveling to New York in 1964 he started his world-wide mission for peace and harmony. A video giving credit to all his achievements has still to be made, but this short biography by Sujantra McKeever is a great first insight. 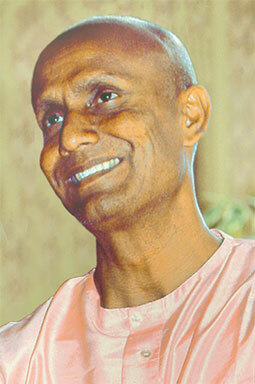 On April 13, 1964, Sri Chinmoy came from India to New York. This year marks the 50th anniversary of his first step in the West. 136 disciples from around the world celebrated this anniversary by cycling as many kilometers as possible in a span of 50 days. 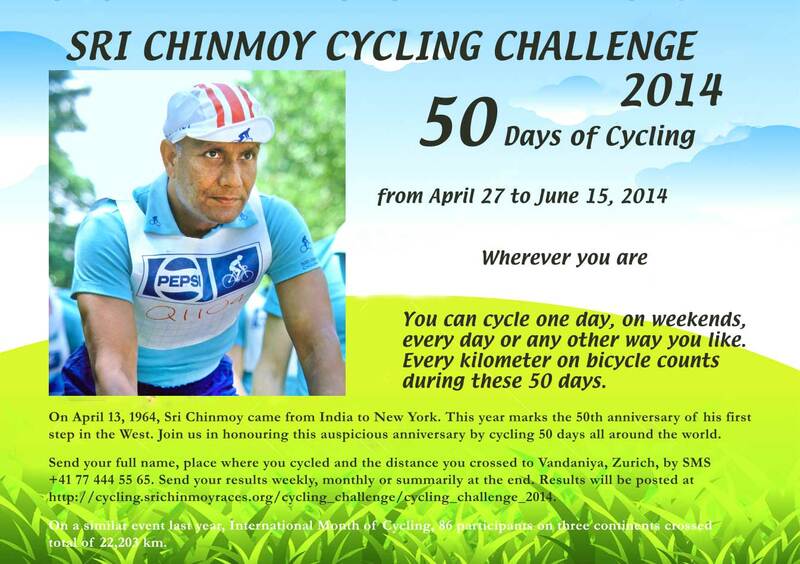 Cycling from April 27th to June 15th 2014 they totaled a distance of almost 60,000 kilometers. British cyclist enthusiast Tejvan Pettinger was first in the list with a distance of 3342 k, followed by Virendra Gauthier from N.J., USA and Jozsef Kakas from Hungary, both doing a distance 0f 3100 k. Watch the whole list of the participants here.